I copied this article as it is a very important one not only because of Austin’s huge bat population, but also because of the urgency of this matter. please encourage our politicians to attack this issue before it is too late. 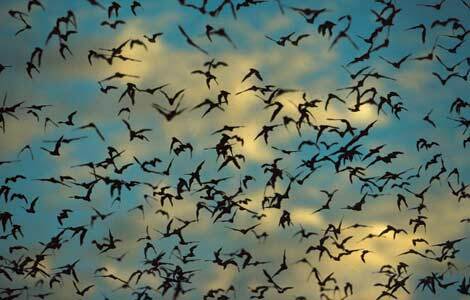 Bats in North America are under a two-pronged attack but they are not the only victim – so is the U.S. economy. Since 2006, more than a million bats have died due to a fungal disease called White-Nose Syndrome (WNS). At the same time, several migratory tree-dwelling species are being killed in unprecedented numbers by wind turbines. This hurts the economy because bats’ diet of pest insects reduces the damage the insects cause to crops and decreases the need for pesticides.